In-depth coverage of scientific efforts to predict earthquakes, together with instructional materials. 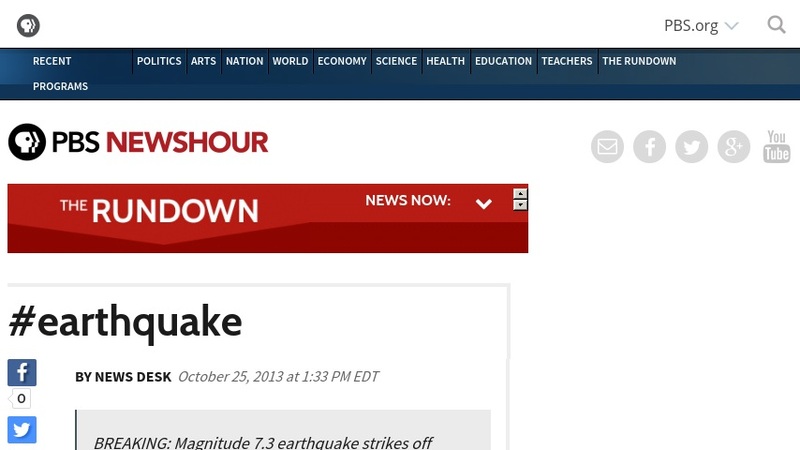 Includes interactive map of tectonic plates; facts, figures, and trivia about earthquakes; a Q-and-A with a scientist about quake prediction; and links to other NewsHour and PBS resources. Main story is available as streaming video and RealAudio as well as text.